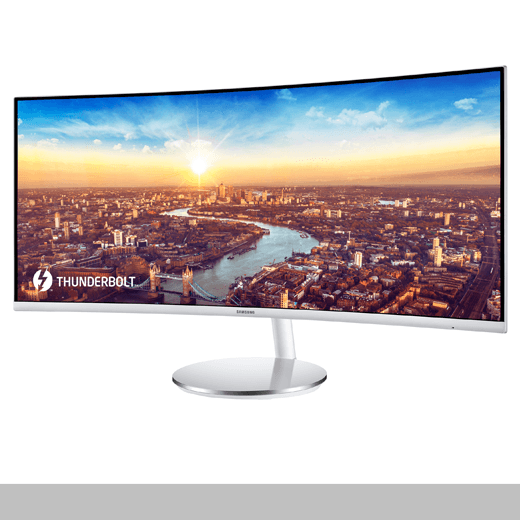 CJ79 is a 34-inch monitor with an aspect ratio of 21:9 and a 155R curve designed to match the natural curvature of the human eye. It’s a display that offers comfort with optimal immersion for users who spend a lot of time in front of monitors. The 1500R curvature is not found in competing products and offers an industry-leading level of comfort. With its sleek look and all unnecessary components removed, the CJ79 is designed to be not just a display monitor but an objet d’art that coexists in its space, becoming one with its surroundings. Designed by:Yongjoo Lee and Taeyeon Won of Samsung Electronics Co., Ltd.